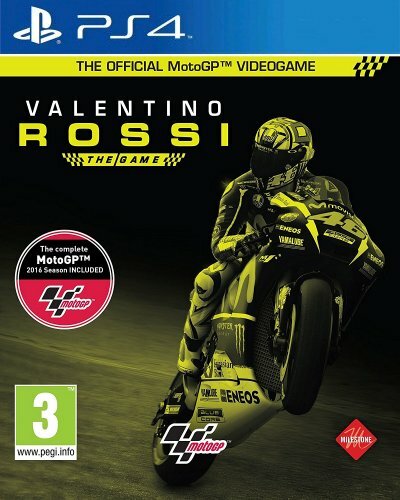 Buy MotoGP 16: Valentino Rossi for PS4 in India at the best price. Screenshots, videos, reviews available. Rossi Story: Experience the career of Valentino from his perspective in 20 challenges from 1996 to 2015. Career: Start from the VR|46 Academy and work your way up to World Championship under the guidance of Valentino. Game Modes: Test your racing skills in several different race types: Flat Track, Rally, Drift, and R1M-only races. Online: Prove yourself in the toughest of environments, facing off against up to 12 players. Roster: Includes all official riders from MotoGP 2016. 18 official tracks from 2016 season + 5 historical tracks.